SnapKeys Si: Who Needs a QWERTY Keyboard, Anyway? Hate typing on your Android keyboard? No problem. 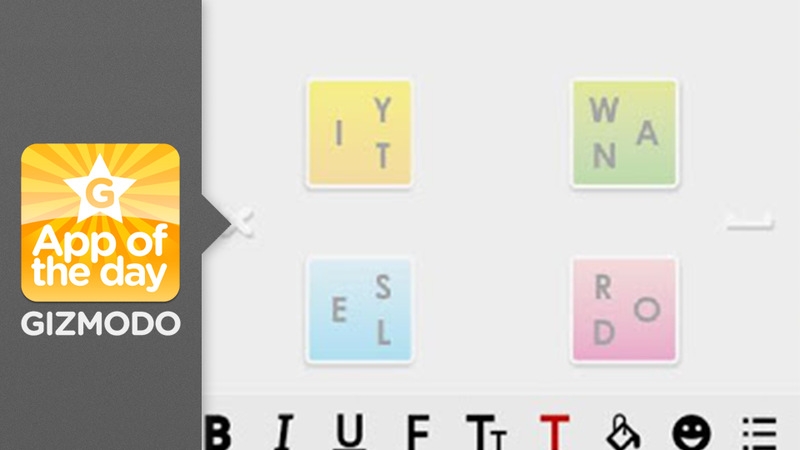 Snapkeys is a replacement for your QWERTY foe that's unlike anything you've ever used. It's a smart, full-screen keyboard app that has just four keys, and forecasts your next letter choice as you type. SnapKeys Si lets you see the entire screen while you're typing. You have just four keys to choose from, and each one starts with three letters. As you tap, it forecasts what's next, and gives you full words to choose from on the side of the screen. So you don't have half your display taken up by a giant keyboard. You'll continue to see the entirety of your Twitter feed while composing a new message, or you'll look at a whole Facebook album while writing a comment. You can type faster, and you have less of a reason to complain about that stock Android keyboard you don't like.